A problem dismissed by the Cape Elizabeth Town Council two years ago is back on the table after neighbors couldn't resolve a dispute over a crowing rooster. CAPE ELIZABETH, Maine — A problem dismissed by the Cape Elizabeth Town Council two years ago is back on the table after neighbors couldn’t resolve a dispute over a crowing rooster. Councilor Kathy Ray brought up the problem at Wednesday’s council workshop after receiving a letter from Joe Gajda, who lives at 15 Farm Hill Road. On Wednesday, Gajda said he has made many failed attempts to have his neighbor, Pat Kennedy of 17 Farm Hill Road, quiet a crowing rooster. But because there is no noise ordinance governing roosters, Gajda asked the council for an ordinance banning roosters on small, residential lots. On Thursday, Kennedy said he didn’t know his neighbors took the issue to the council. Gajda said lots in his neighborhood are less than a quarter of an acre, which makes it very easy to hear Kennedy’s rooster, which crows throughout the day, starting in the early hours. Gajda said his family’s quality of life is affected, and other neighbors who addressed the council on Wednesday agreed. “The noise is very loud and anything that can be done to protect the silence would be appreciated,” Farm Hill Road resident Troy Clark said. Kennedy said he has measured the noise level of his rooster’s crow at 60 decibels. He said that is lower than the sound measured from crows and songbirds. In March 2012, after similar noise complaints, the council considered an ordinance that would have restricted roosters. But the matter was dropped after the “rooster in question” disappeared. On Wednesday, councilors said this seems like a problem that may occur again if not addressed now. Ray said she recently visited Farm Hill Road to hear the problem for herself. She said she parked her car and listened to the rooster crow for 15 minutes before she left. Councilors on Wednesday were sympathetic to residents’ complaints. Kennedy said he has tried to remedy the issue by putting up sound-damping material in the rooster coop. He said he has acted reasonably and he wants his neighbors to leave him and his pet alone. In his letter to councilors, Gajda suggested that a half acre or one acre be the minimum lot size required for having a rooster. He said he does not want to restrict the town’s farming and agriculture community. Gajda said he owns backyard chickens, which are used for their eggs. 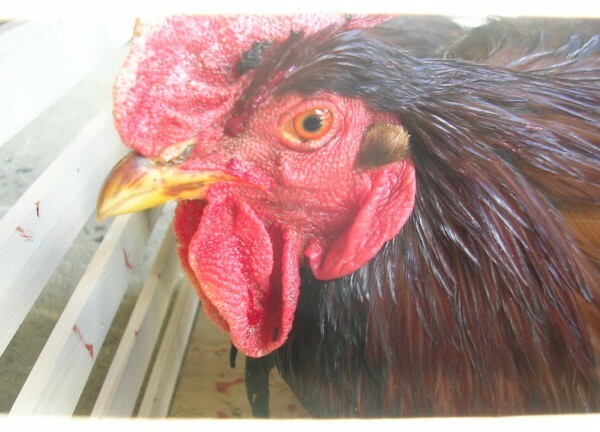 He said Kennedy’s rooster has been a problem for the past two months, and has even attacked his hens. Gajda and the other neighbors said they have asked Kennedy to fix the problem, but that he refused. Kennedy said that’s untrue. “The whole culture in Cape is ‘let’s talk to each other and complain rather than go directly to the person we have a problem with,'” he said. The neighbors said they have called the police multiple times, but that nothing can be done because rooster noise isn’t covered under existing laws against disturbing the peace or for animal control. Town Manager Michael McGovern said it’s a difficult issue for police to handle, because while the problem may be obvious, nothing can be done to fix it without an ordinance. “The real issue this comes back to is that [the police] feel they have nothing to enforce,” McGovern said. Other Maine towns and cities have banned roosters in residential neighborhoods, and Ray said she hopes an ordinance can be created and passed in Cape Elizabeth. “I’m asking if council would entertain putting it back on the agenda and make an ordinance,” she said. Councilors agreed, and will discuss the proposal Sept. 8. Gajda said he hopes the issue can be resolved. Kennedy said he will stand his ground.